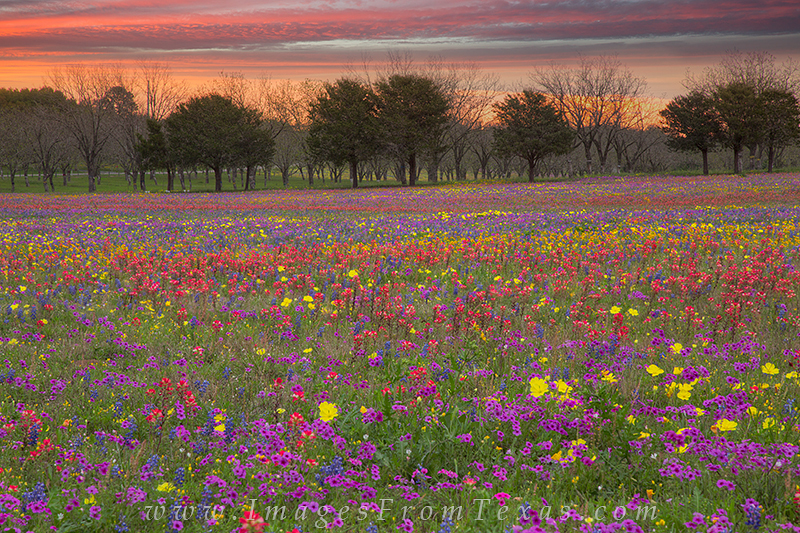 2014 did not offer much for bluebonnets and wildflowers, but near a small town called New Berlin, Texas, this field offered all the colors of the rainbow. From phlox to paintbrush to bluebonnets, this display had it all. This landscape comes from that area at sunset in early April. Photo © copyright by Rob Greebon.